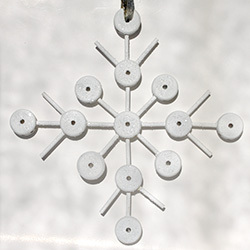 Day two “Ornament Advent Countdown”. Cheri-December 12, 2012. Day two of “The Crafty Sisters Advent Ornaments“. 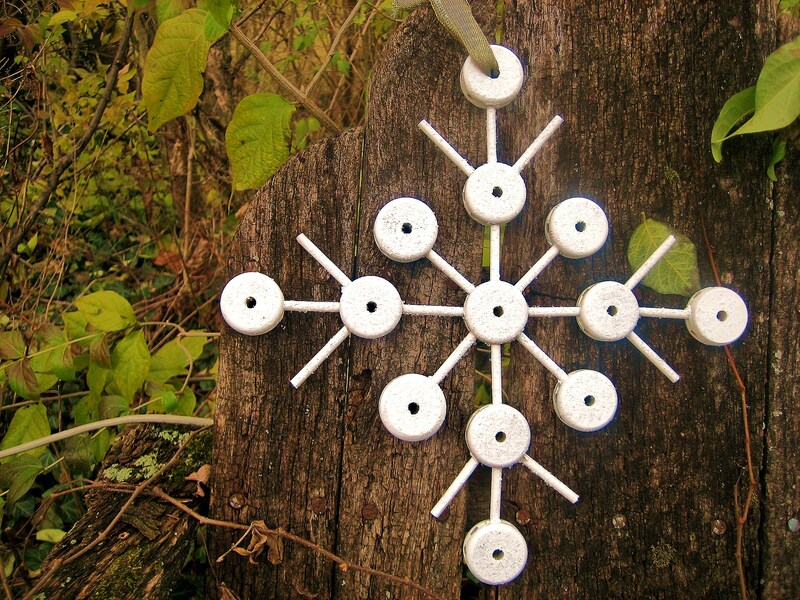 This is a super simple ornament to make and it really is pretty neat. It may not make the best ornament as it is a little large but it would be a great tree topper or a wall hanging. All you need to do is get some Tinker Toys and pegs. I found some orphaned ones at a garage sale last summer and decided to give them a new life. The design fell in to place pretty easily and then, I just hot glued the pieces together. The hard part for me was the painting. Spray paint seemed to be the best way to go, but the paint soaked right in to the Tinker Toys. After several coats (and a patchy finish), eventually I finished painting it with acrylic paint and glittered it. This was a fun project and the possibilities are endless.